Wearing safety glasses are very important. 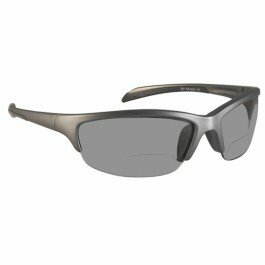 Check out our SB-5000 Bifocal Safety Glasses. This frame offers a close fit and comfortable protection. A rubber nose bridge and soft rubber tipped temples make this frame style one of our most versatile. The SB-5000 is sold in a clear lens and a smoke grey lens color in the following magnification adds: +1.00, +1.50, +2.00, +2.50 and +3.00. This product also complies with ANSI Z87.1-2003 (Z87+).